Traveling the world is probably one the most amazing, fun and inspirational things anyone can do. Doing it with someone you love makes it that much better. Just in time for Valentine’s Day, here are the most romantic destinations in the world. 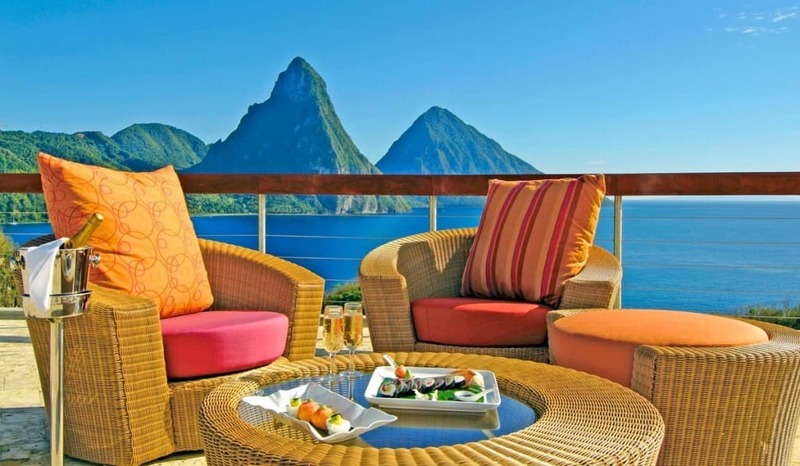 Lovers adore the intriguing island of St. Lucia, with its intoxicating melee of beaches, activities and romantic resorts like the Jade Mountain. Sparkling waters contrast with palm-fringed beaches, elegant former plantation homes thrill with the aromas of spicy flavors of cooking and waterfalls tumble through forest rich with rare parrots and magnificent flashes of color. Romantic restaurants, elegant inns and a pervading ambiance of old glamour entice those with romance on their minds to visit charming, historic Charleston. Cobblestone streets and stately squares make for enchanting ambles and carriage tours can carry the two of you through the city’s atmospheric alleys. Vienna is rich with history, stunning architecture, and a prime location along the sparkling Danube River. Step back in time and tour an imperial castle at Schönbrunn Palace. The grounds include sculpted marble fountains, pristine hedgerows, and picturesque garden views. Kauai, known as the Garden Island and one of the most romantic destinations in the world, has everything you can imagine in a tropical paradise: lush rain forests, long sandy beaches lined with swaying palm trees and warm sea breezes. You can find many activities where the emphasis is on the just the two of you for a romantic getaway treat. Regardless of season, it’s hard not to succumb to romance as you wander Kyoto’s atmospheric streets, gazing at the glimmering Kinkaju Pavilion and its lotus ponds and feasting at restaurants over the River Kamo. Glimpse a geisha disappearing down a narrow alley in Old Kyoto as lanterns bob in traditional house doorways. A romantic paradise awaits you on the Indonesian island of Bali. From inviting beaches, terraced rice-fields and lush green highlands to a spiritual Hindu culture and village traditions that have remained unchanged over the centuries, not to mention fabulous resort hotels – this is a mystical experience to last a lifetime. The birthplace of the sensual tango is an incredibly romantic city to sashay to. Atmospheric old neighborhoods present captivating corners and enticing restaurants to linger in. Restaurants and nightlife options are appealingly priced, making it even easier to enjoy any number of romantic meals out. With its stunning architecture and mysterious passageways, Venice is the perfect hideaway for lovers. Glide down one of its many canals in a gondola, dine by candlelight on northern Italian dishes, and take a moonlit stroll through Piazza San Marco. Romance is guaranteed in one the most romantic destinations in the world. 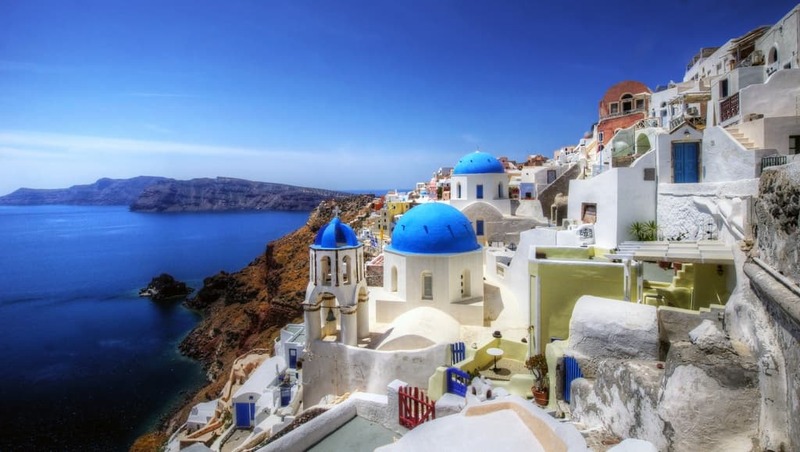 Whether you’re looking for the perfect sandy beach, that idyllic sunset view, or a traditional waterside taverna, Santorini holds an irresistible appeal. Swimming in balmy seas at dusk, chatting over great local food and drinking under the stars – it’s the simplest pleasures that are the best here. 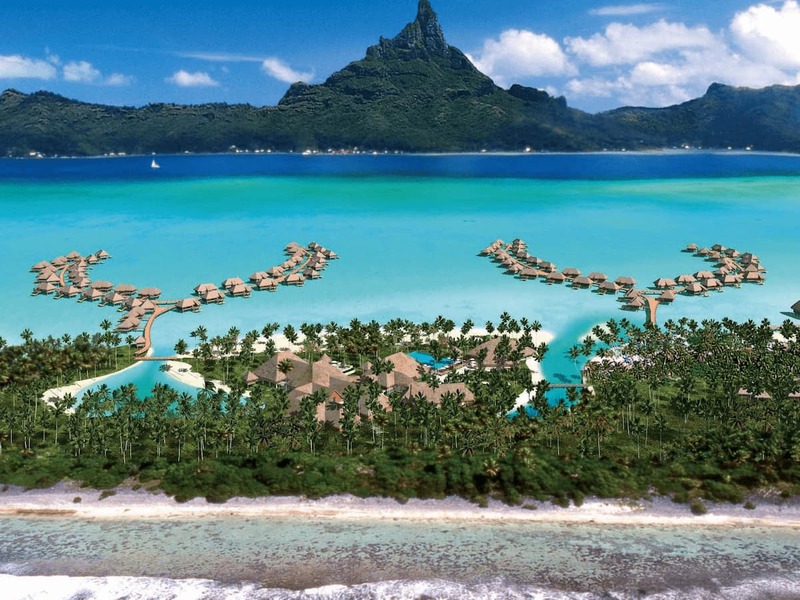 Considered by many to be the ultimate honeymoon destination, tropical Bora Bora cannot help being one of the most romantic spots in the world. Glide over the clear-blue waters in a glass-bottom boat, share a midnight dinner on the beach with someone special and fall captive to this magical Polynesian island. From its picturesque bridges to its outdoor cafes, no other city says romance like Paris. Stroll along the river Seine, picnic amid the flowers of the 61-acre Luxembourg Garden or toast the sunset from atop Montmartre as the City of Light sparkles below. Surely Paris is one of the most romantic destinations in the world!